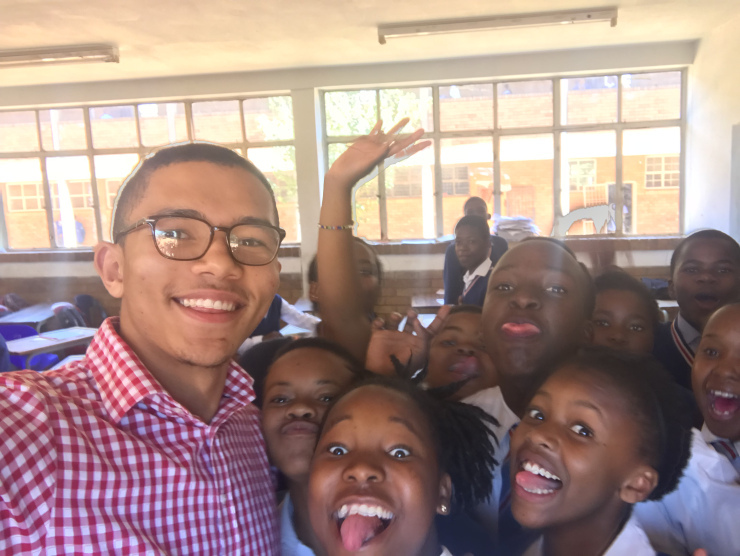 Former Kinetic graduate, Mothibi Penn-Kekana is currently in South Africa giving back to those in need, putting into practice one of Kinetic’s core principles. Mothibi was part of our full-time programme at Royal Russell last season, in which he helped Royal Russell lift the ISFA National Cup in 2017 whilst also achieving outstanding A level results. In the Summer of 2017, after a short stint with the PDL in Reading, PA (USA) Mothibi took a gap year to volunteer and coach young people in his homeland of South Africa after gaining his coaching qualification whilst with Kinetic Academy. We expect him back soon to play again with the Kinetic Croydon men’s team before he again leaves for the US, where he hopes to be the beginning of a new wave of Kinetic graduates playing in the US. Mothibi’s work in Tembisa township outside of Johannesburg has been recognised beyond the borders of the township with an hour-long interview he gave on a national radio station. Find out more on, www.londontotembisa.com.